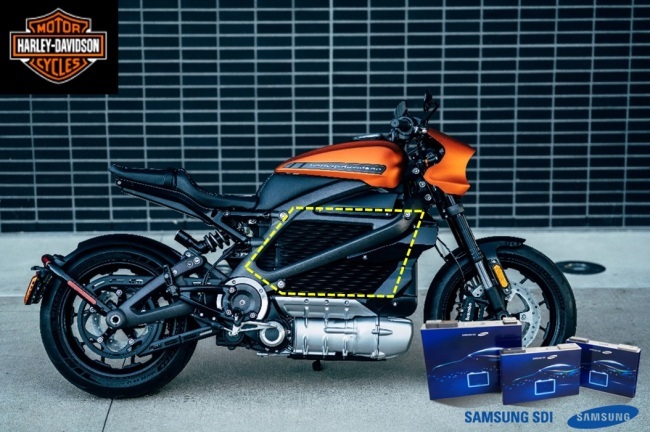 Samsung SDI’s battery packs will be used for new electric motorcycles of the US motorcycle manufacturer Harley-Davidson, according to the Korean battery maker on Tuesday. The US firm’s first electric motorcycle, called Livewire, will feature Samsung’s batteries and will be able to travel 180 kilometers on a single charge. This is twice as long as the firm’s prototype electric motorcycle, Project Livewire, which ran 97 kilometers on a single charge in 2014. Livewire will be able to go from zero to 60 mph in 3.5 seconds, and will feature higher connectivity technologies for the delivery of information between riders and between riders and motorcycles. The electric motorcycle is slated to be displayed at this year’s Consumer Electronics Show in Las Vegas, starting from Tuesday. “It is meaningful for us to diversify our battery supply chains from electric cars to electric motorcycles. The battery is the key driving force behind transportation innovation. We will continue to lead innovation with differentiated battery technologies,” said Samsung SDI Vice President Kim Jeong-wook.